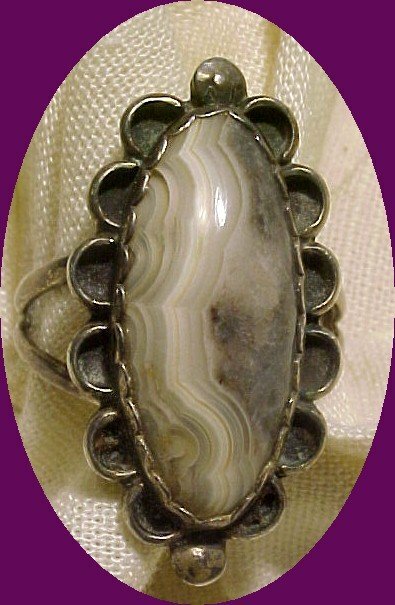 Signed Sterling silver Agate Ring. It is a size 8. The top of the ring is 1 1/4" long. 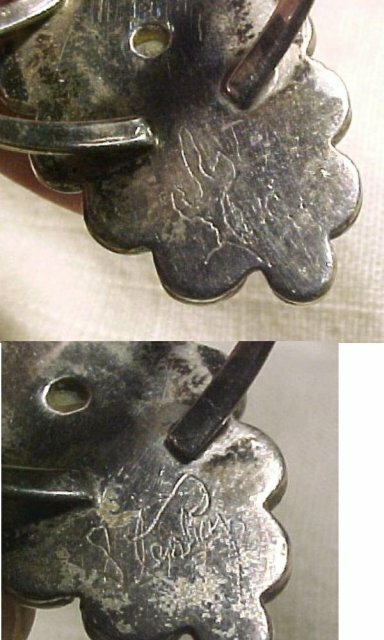 It is marked on the back with initials and a depiction of a cactus. The on the other end of the back there is a full signature. I am unable to make it out. The stone is in excellent condition. 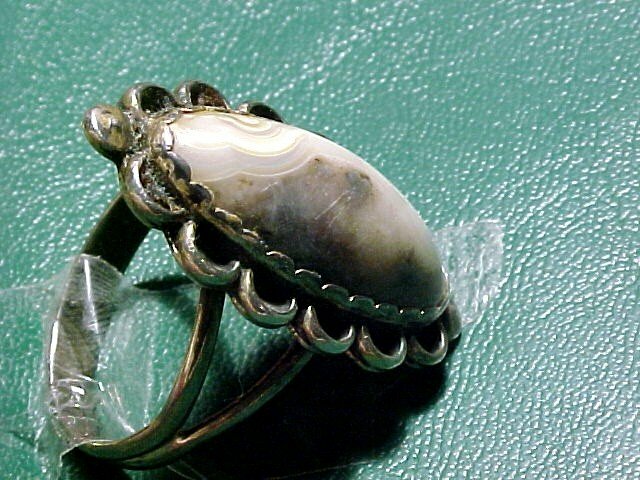 The condition of the silver is with old patina which natural for old silver. It can easily be polished up. If you would like me to polish up I can do that for you after you purchase this. Please check out the rest of my fabulously wonderful & wide variety of estate treasures on Go-Antiques. You will find my selection not only interesting & fun to browse through but very affordable too. 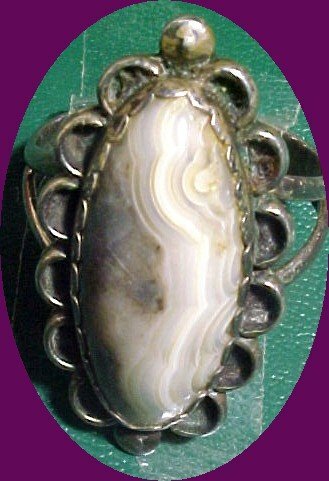 Items Similar To "Old Southwest Signed Sterling Silver & Agate"